THE PANHANDLES NUMBER ONE CHOICE! Give us a call today and we're on our way! Bob Douthit Auto is your single source for everything automotive. 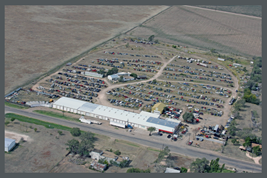 From the best parts in these parts to damage free towing and recovery to a nice selection of quality used cars and trucks. A family business with an emphasis on quality, satisfaction and service. Bob Douthit, the name to trust since 1960. Proudly Serving the Good Folks in Pampa and Surrounding Towns.